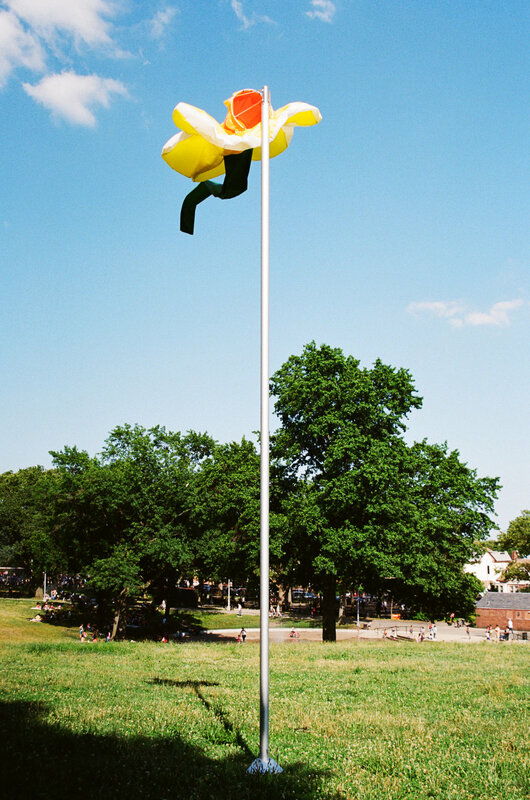 A public sculpture in Highland Park on the Brooklyn/Queens border. 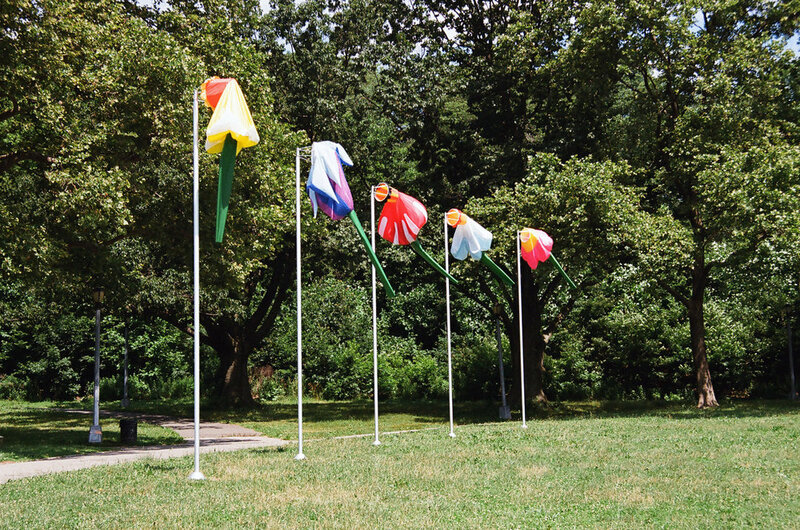 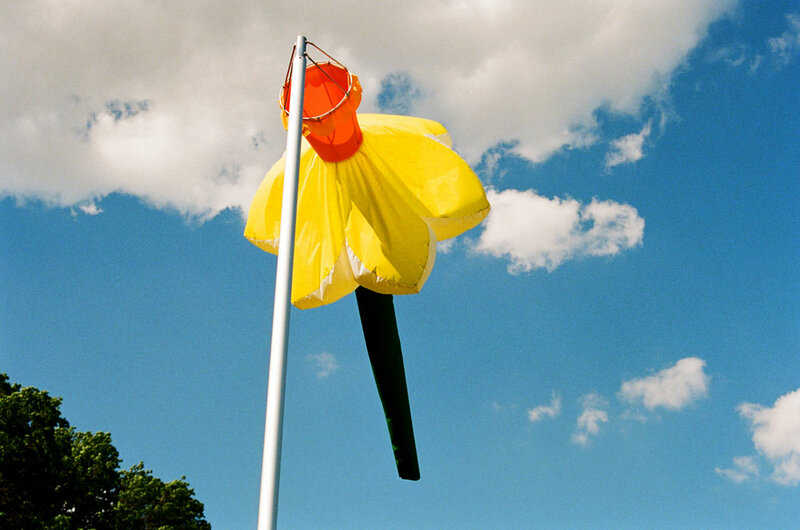 The piece consisted of five windsock-like flowers that inflate and indicate the direction and force of the wind. 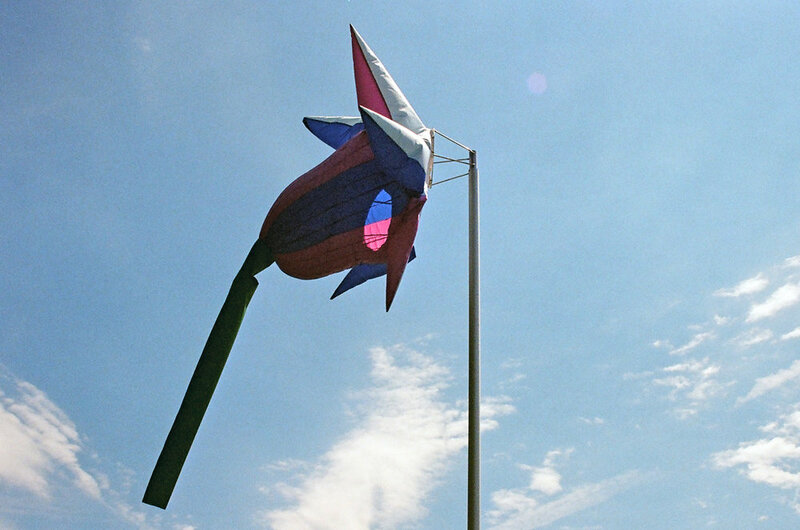 This first version of the piece consisted of five unique designs. 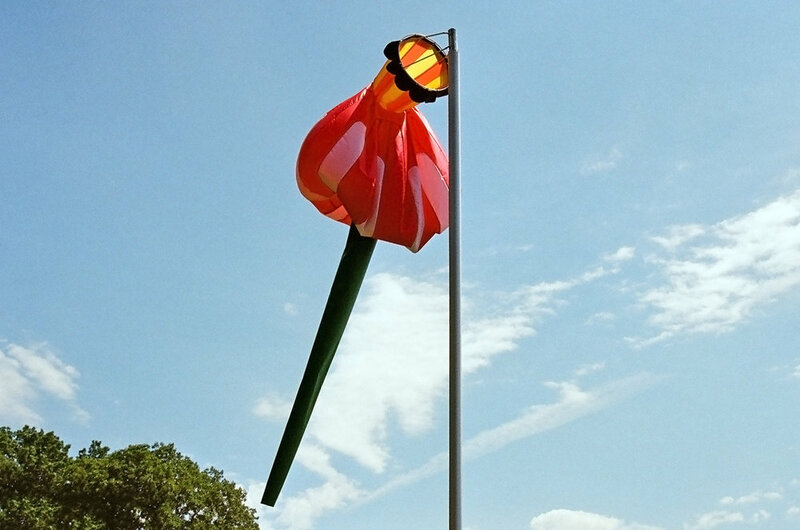 The second version was installed for the last six months it was on-view and consisted of five identical flowers. 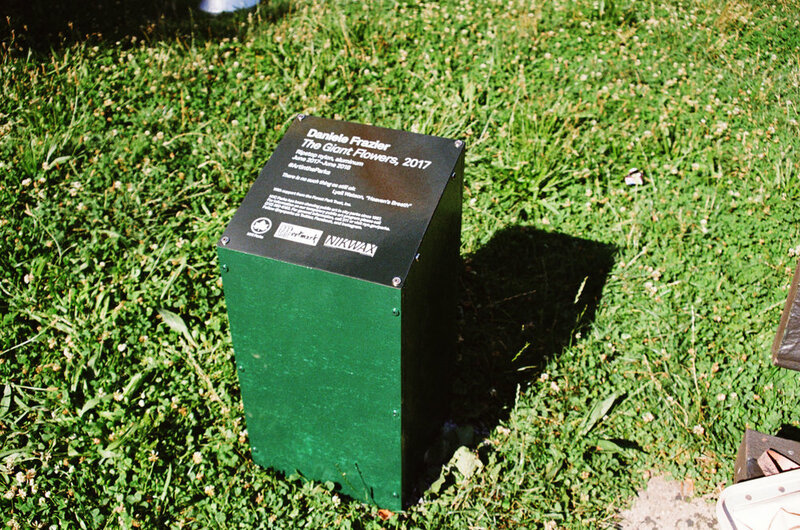 The work was commissioned by the New York Department of Parks and Recreation’s Art in the Parks program and was funded by crowdsourcing.